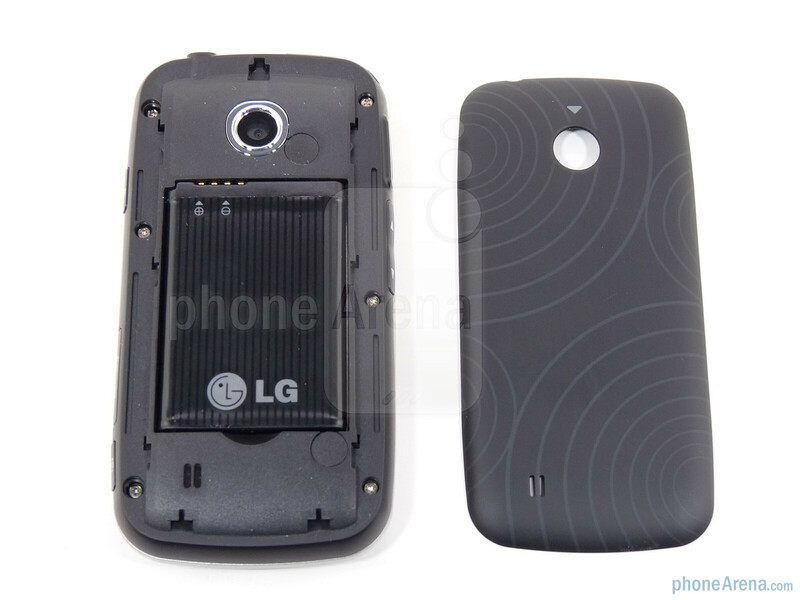 As a follow-up to the Cosmos VN250, LG needed to improve on the entry-level messaging, but unlike what they did on Sprint (with the Rumor line) they couldn’t risk encroaching on their successful enV lineup by moving into the feature phone market. So what do you do to a basic, side-sliding messaging phone? Why add a touchscreen, of course! 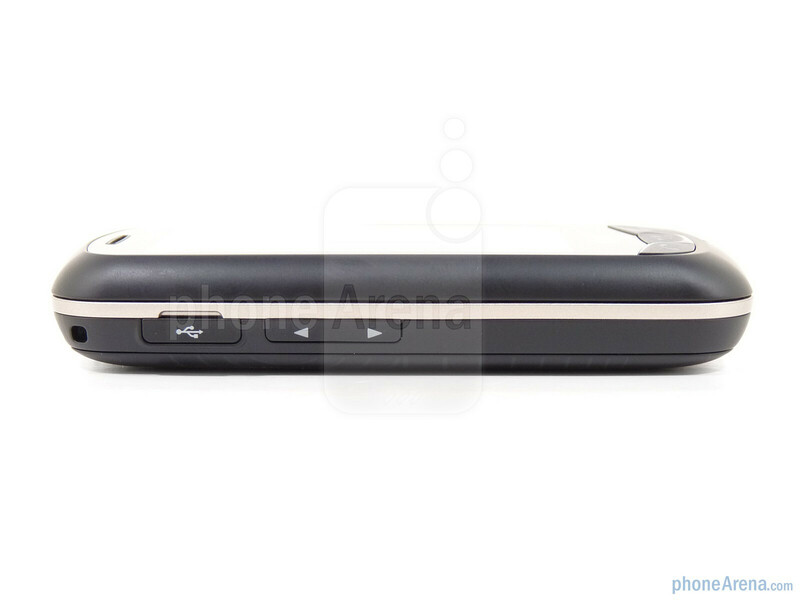 The VN270 Cosmos Touch retains the same basic specs as the original, and mostly just adds a touchscreen. 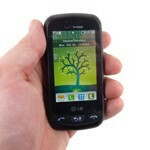 Other features include a 1.3 megapixel camera, full QWERTY keyboard and GPS. 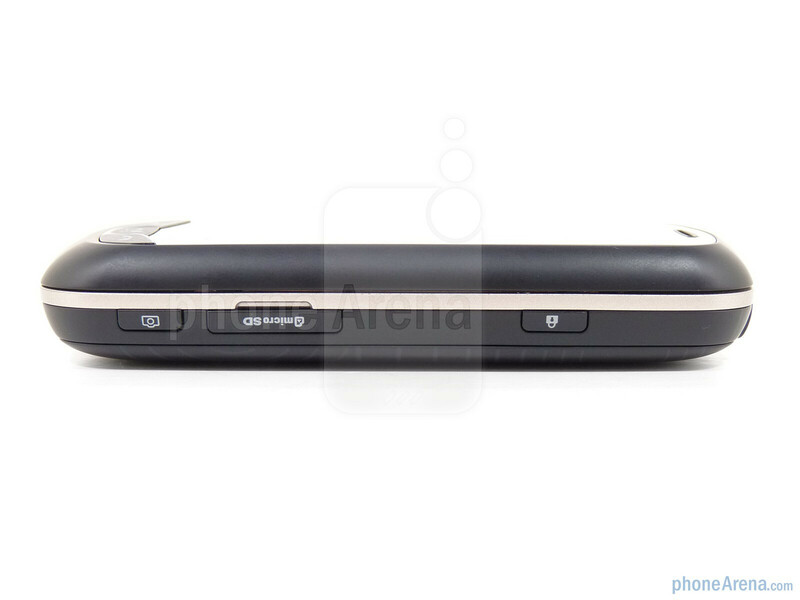 The Cosmos Touch simply includes the battery and AC adapter. 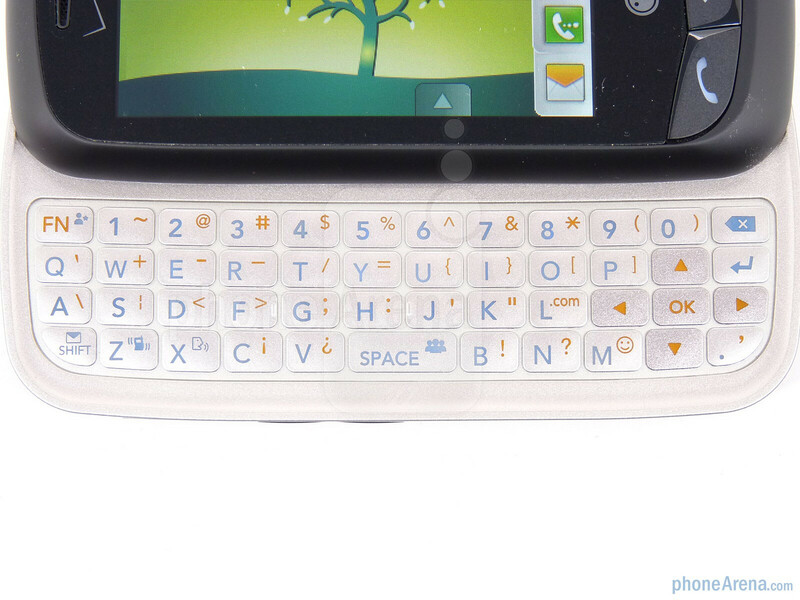 By ditching the numeric keypad, LG was able to make the Cosmos Touch shorter than the original Cosmos, while still giving it a bigger display. The Cosmos Touch has a 2.8” resistive TFT display with a resolution of 240x400, but manages to be 0.4” shorter than the Cosmos. 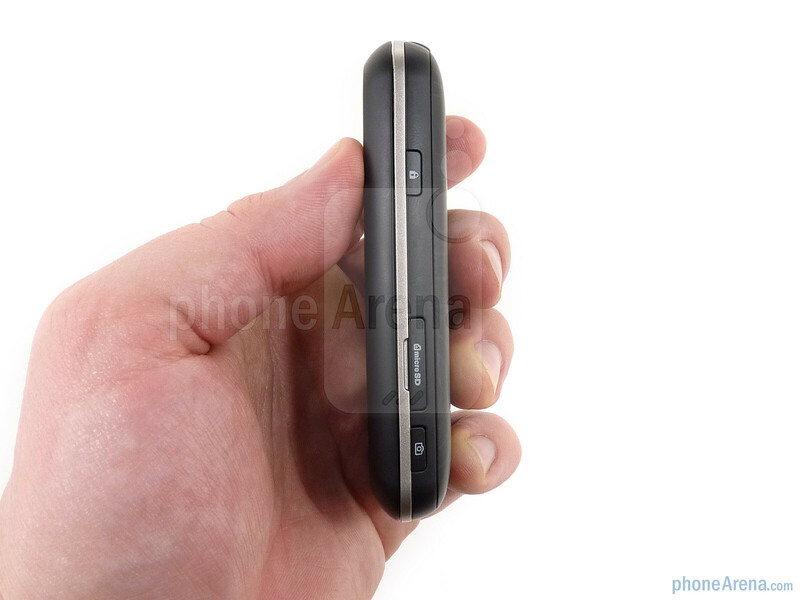 On the right side of the phone is the lock key, microSD slot and camera key. 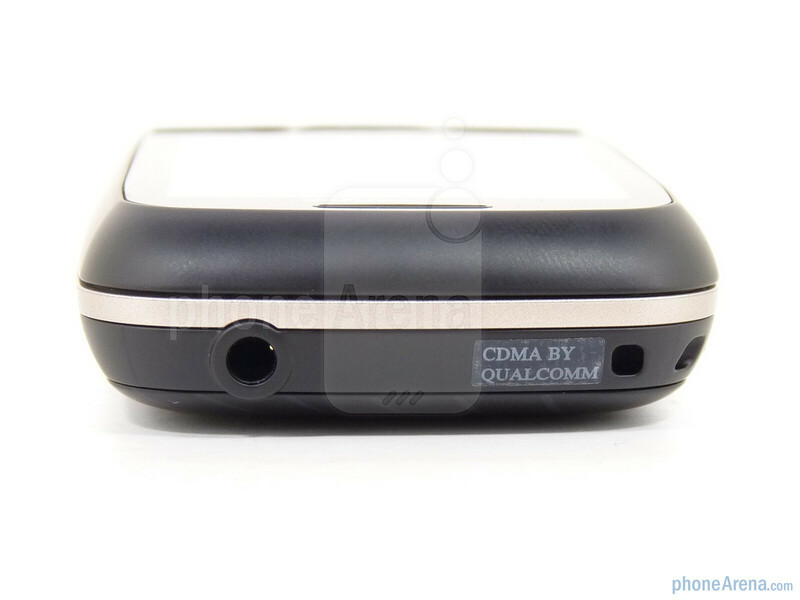 On the left is the microUSB charging/data port and volume rocker, while the top simply has the 3.5mm headphone jack. You can compare the LG Cosmos Touch with many other phones using our Size Visualization Tool. Other dimensions and weight remain nearly identical, but a shorter phone means a more cramped keyboard. It was noticeable to us, but to the target market of teenage hands this smaller version may not be a big deal. The keys have a very good feel to them; they are rubbery but not too sticky and the travel is reassuring. The resistive display isn’t too shabby for an entry-level device. At 2.8” it is decently sized and with 262K colors, images look pretty good. It is fairly responsive, but when tapping out text messages on the on-screen T9 keyboard it did have trouble keeping up with us on longer words. We don’t imagine many people will opt for the screen over the keyboard though, so this is a minor issue. General navigation of the menu system worked well. Below the display are three physical keys: Send, Back/Voice Dial and End. The LG Cosmos Touch feels good in the hand, thanks in part to the soft touch paint used along the sides and on the back door. The slide mechanism is smooth and solid and we don’t foresee issues with it down the road. Even though it is an entry-level phone it is well build and we feel it’ll withstand the bumps and bruises of everyday use. 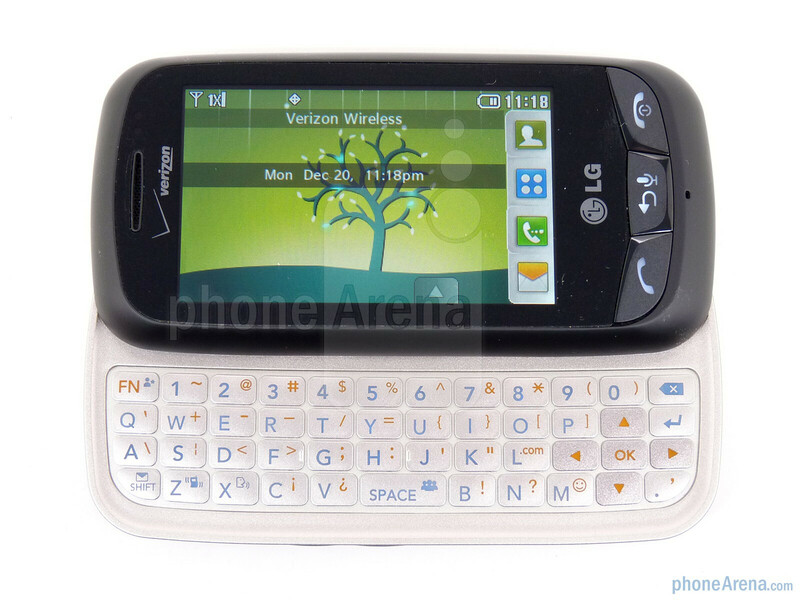 Yes, the phone has a virtual keyboard on the screen but can only be used in the regular T9 acces. Exceptional phone for the kids or for someone who only calls and texts. I own this phone and like it. It's the first feature phone I've owned so I had no expectations. Your review got it right on all points except the photo quality, which is quite bad as your sample photos show. Photos often lack detail and dynamic range. Like most digital cameras, the camera does best in decent light (when there is not a lot of contrast in a scene). If you plan on doing even the most basic editing, shoot at full resolution (the zoom is disabled when the camera is set to full resolution but, hey, it's only a 2X zoom). I always carry a digital camera with me so I don't care that much about the image quality of the Cosmos Touch. If photo quality in a phone was a priority, I'd look elsewhere. Does the Lg Cosmos Touch require a data plan if you buy it on pre-paid? I am considering this phone, but am tempted to inquire (to the parental unit) about possibly getting a blackberry curve. For you experienced phone users out there, what would you recommend? Is it worth it to pay data plan for the bb curve or just deal with the 80 dollar fee with the lg cosmos and settle for sub-par performance (in comparison to the bb and other smart phones, of course). What do you think? 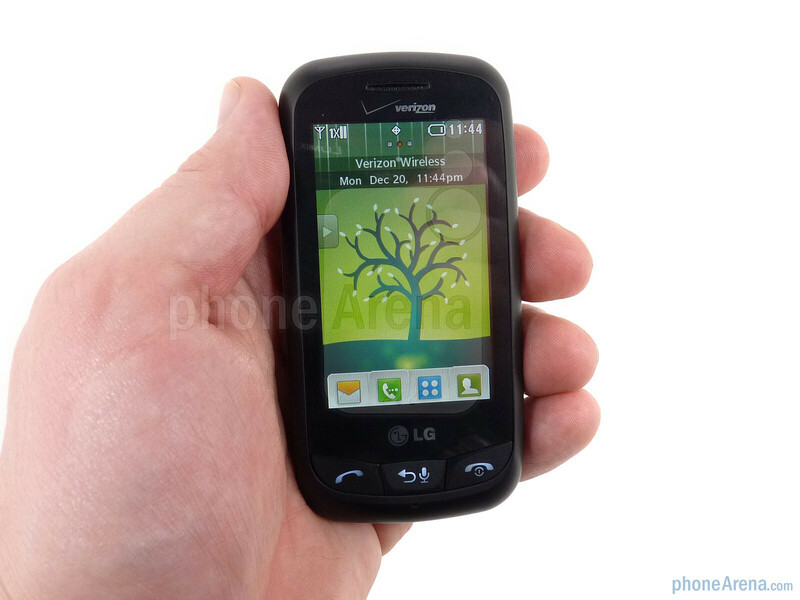 I have the LG Cosmos touch and it is an okay phone. Most the time that i send a txt message it will turn on when it is already on i have had 2 in the 14 days but it is the same. when it does that it wont send your message and you have to retype it. 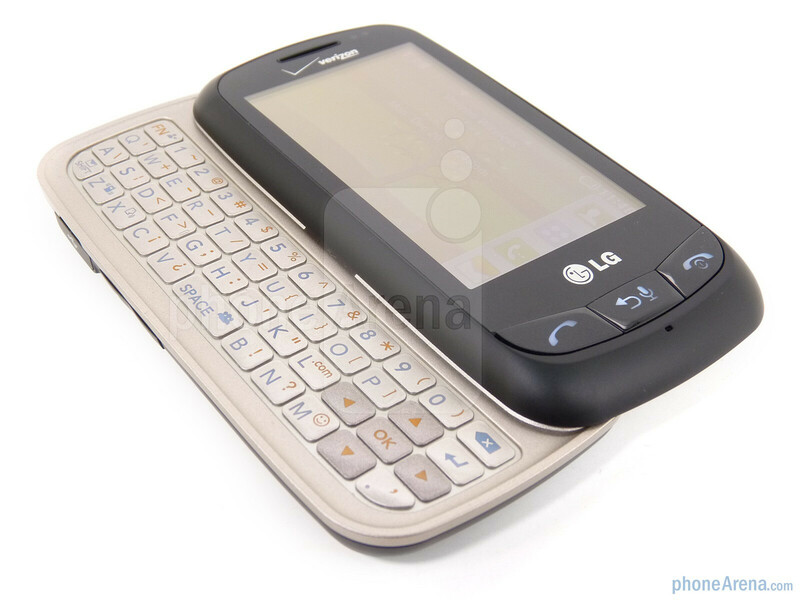 I had the LG Env 3 for 3 years and i would like that phone back than this one. If you want one dont get it, its not worth 80 dollars. i thought LG phones were better than that. Hello, I'm planning on buying this phone soon. I'd like to know if it has Mobile IM on it? ive had this phone for a day, at first really liked it, but i downloaded songs onto it and im frustereated because they arent being stored under "my sounds" rather just under "my music" however, i want them to be my ringtone. and for that to happen, they need to be under "my sounds" .... ... . does anyne know how to fix that? if i cant fix this problem, i will think much less of this phone. i don't have the phone but i had the same things with my prevoius phone... have someone... a close friend or family member who doesnt mind.... text them the sound then have them text it back and save it it should save under my sounds. hope this helps!! @ Jay Tea, send the music to yourself if you are able too, and then save it under "my sounds." I have had this phone since it came out and it is the greatest thing I had ever had. Before this phone I had the iPhone and I really like this phone better. If you want the internet package you have to pay the data package but other than that I really like this phone and its great. I have dropped this phone probably like 7 times and it still has yet to have a scratch on it. 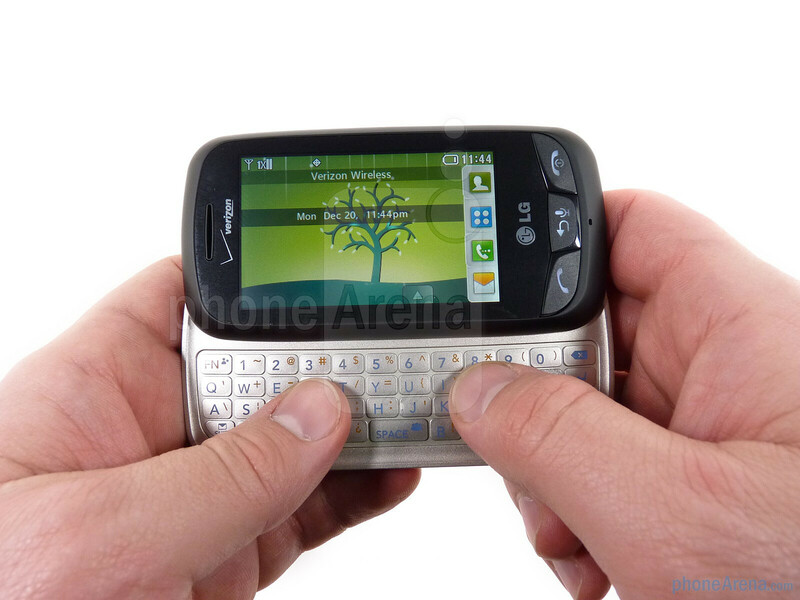 Its a great texting phone. Easy to use. And the keyboard is small but you get used to it very quickly. I have recommended this phone to 6 of my friends and all but one of them got it and they are all very impressed with it. So if you just want a simple that you can get pretty much anything I do recommend this phone. Out of a 1-10 i do give it a 10. Sometimes the touch screen is a little slow but just tap it and i goes back to normal. Not a big problem at all. BIG RECOMMENDATION FROM ME! Just got this phone 1 hour ago, very user friendly, easy on the eyes! Piece of junk. Touch pad stopped working in less than 2 months. Going back to writing letters after this bad experience. I'm wondering if I should get this, but I want to know, how good the touch screen is and if it does things randomly. And how long will the battery charge if it is charged from 9 or 10 30pm till 7am? 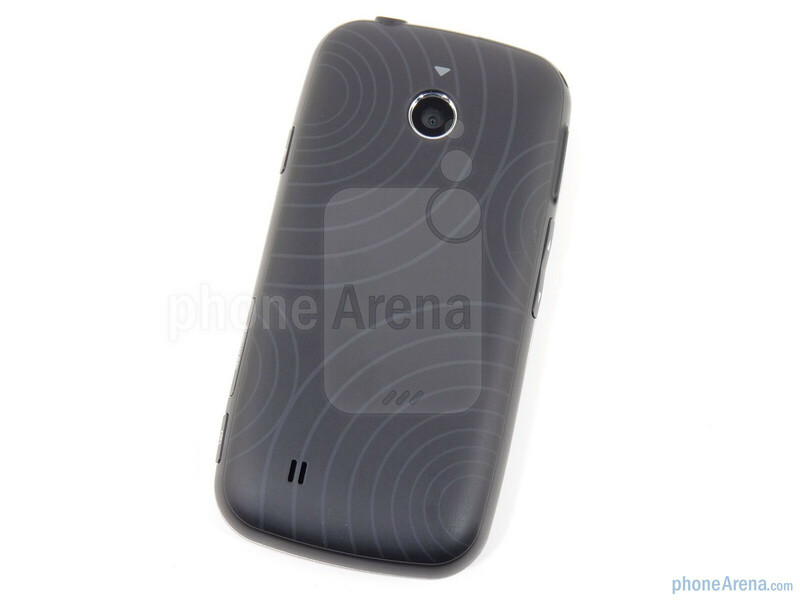 this phone is greate but when dropped with out case the back will (most likley )pop out and in most places i cant find any different caces except black where can i ge one in stores? Do you have to by internet? and how long does the battery usually last??? 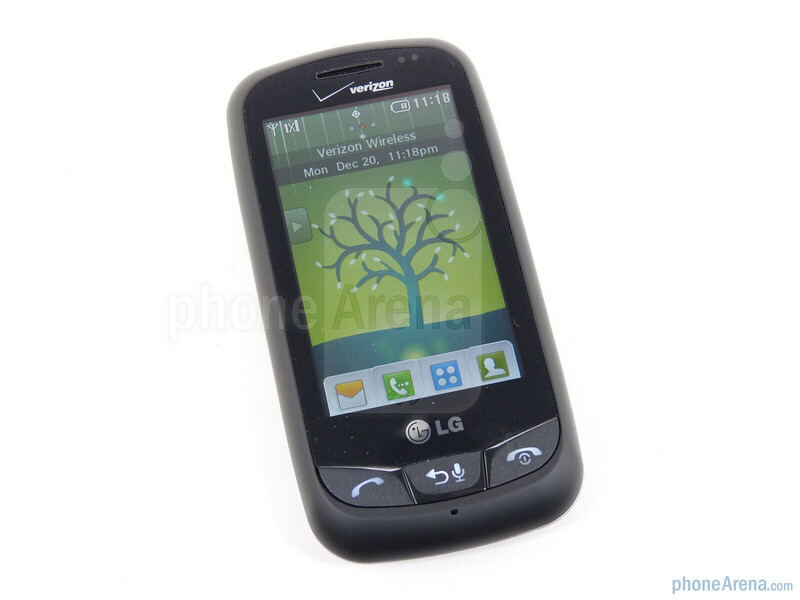 I own a LG Cosmos Touch and I liked it in the beginning because the battery lasted me awhile. It also feels nice in your hands. Now, the battery life is shorter and the touch screen is sensitive when you touch something and it TAKES FOREVER to charge. Sending messages when one is coming in takes FOREVER then after awhile you have to touch if you want to send the message to the person or not. When you click to read the message later that you receive while your texting, you have to click "read (or open) later" really hard or you will send the text to the wrong person. I am seriously considering asking my parents for a new phone.